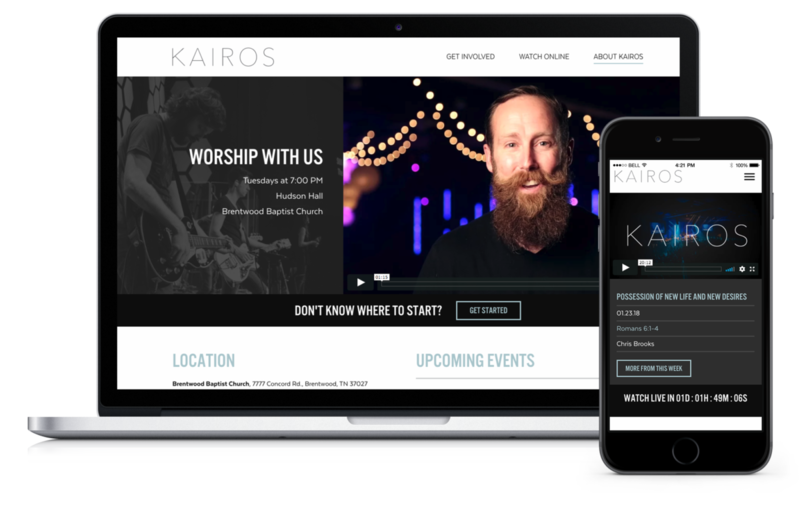 Kairos is a popular church ministry in the Nashville, TN area that invites college students and young adults to come together for worship, Bible study and community. We redesigned the website with muted colors, bold typography and an emphasis on video to reflect the young, tech-savvy audience. We also integrated the MinistryPlatform group finder tool into the website so users can find and join a group that matches their needs. 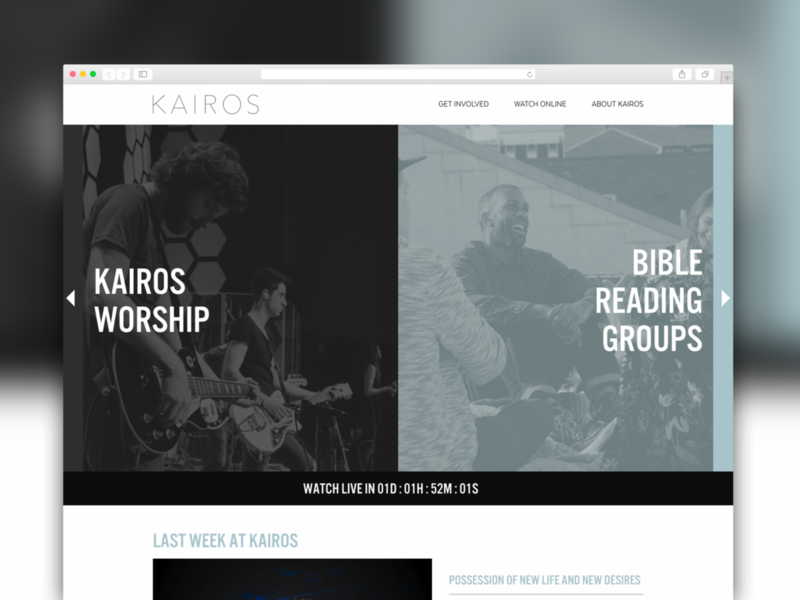 Both the weekly worship service and the Bible reading groups are important components of the ministry, so we created an interactive dual header that gives control to the user to choose their topic of interest.